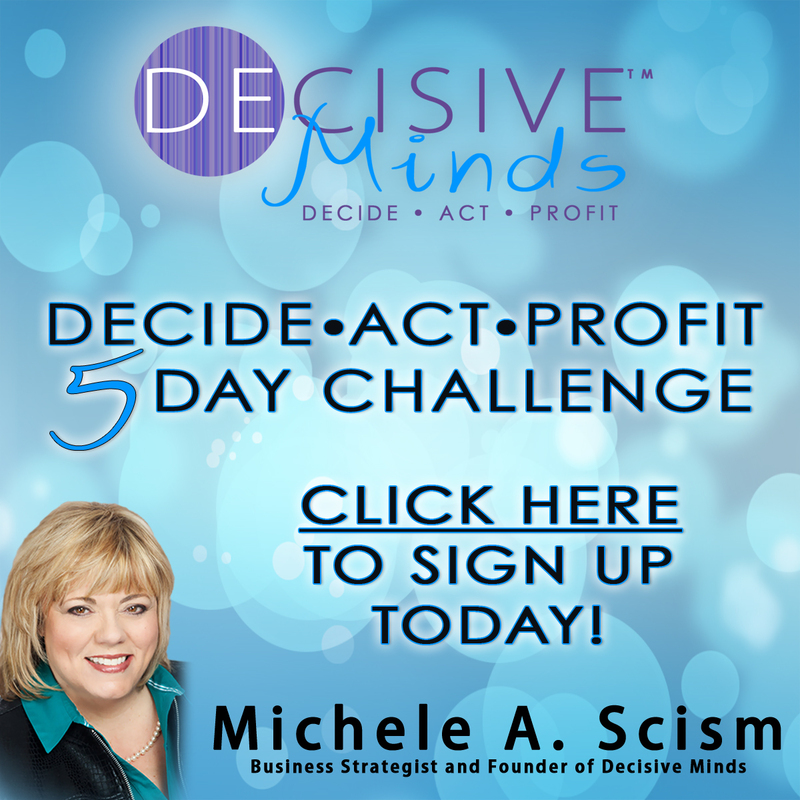 It’s Here: How to Decide, Take Action and Pocket the $$$ – Free Video Series for You! Whew! I am so excited to be able to share something I’ve been working on for a long time with you. My Decide, Act Profit video series is ready for you. Have you ever wondered what their secret is? You know, those entrepreneurs who seem to have that golden touch! Their businesses are growing, they have a team working for them and they must be making money because they have clients constantly singing their praises. Do you ever lay in bed at night and wonder what you’re doing wrong? What is it that you need to change that is going to make building your business easier? Aren’t you tired of trying to figure it out on your own? The good news is that building a business doesn’t have to be hard. No matter what you think, that is not a prerequisite for a great business. There are things in your business you can change right now that will make an immediate difference in your income. Those changes are exactly what I’m covering in my video series this week. Through growing my business and working with private clients (many of whom have gone on to build 6 figure businesses themselves), I’ve learned what it really takes to build a thriving business. This week, I am going to give you the tools to fix the 5 areas in your business that cause entrepreneurs to fail. If you are stuck in your business, these are the videos that will get you unstuck and help you build a business that fulfills you and puts cash in your pocket. Today’s video is all about the stumbling block 90% of unsuccessful entrepreneurs never get over – determining your Decisive Business Advantage. After watching this video and completing the exercise, you will be able to get clear on what you uniquely offer your clients. (Many of my coaching clients are often surprised at the results of this exercise). To get started, click here.